For Jack Cherry, security supervisor at Cape Cod Healthcare, a security system with patented keys and real-time record management software was just what the doctor ordered. 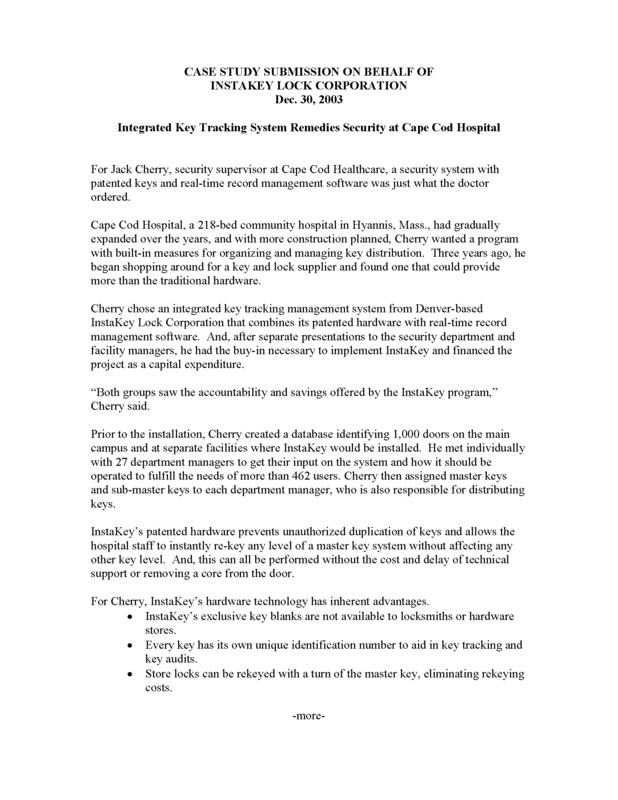 Cape Cod Hospital, a 218-bed community hospital in Hyannis, Mass., had gradually expanded over the years, and with more construction planned, Cherry wanted a program with built-in measures for organizing and managing key distribution. Three years ago, he began shopping around for a key and lock supplier and found one that could provide more than the traditional hardware.